KP Consumers Pay more for CNG - KPOGCL - Oil And Gas Company Ltd. 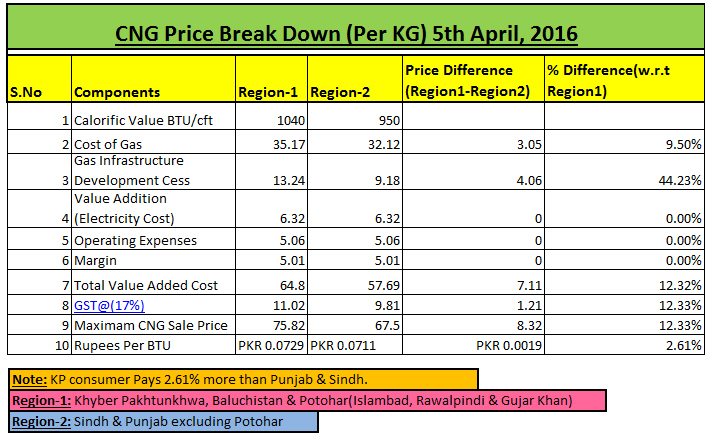 The Consumer of Khyber Pakhunkhwa is paying more for CNG compared to other Provinces due to higher GIDC which resulted in extra GST amount. KPOGCL approached MPNR to immediately rationalize and equalize the price of CNG in KPK with other provinces, complete withdrawal of GIDC and Refund of Rs 7.6087 billion to Govt of KP.